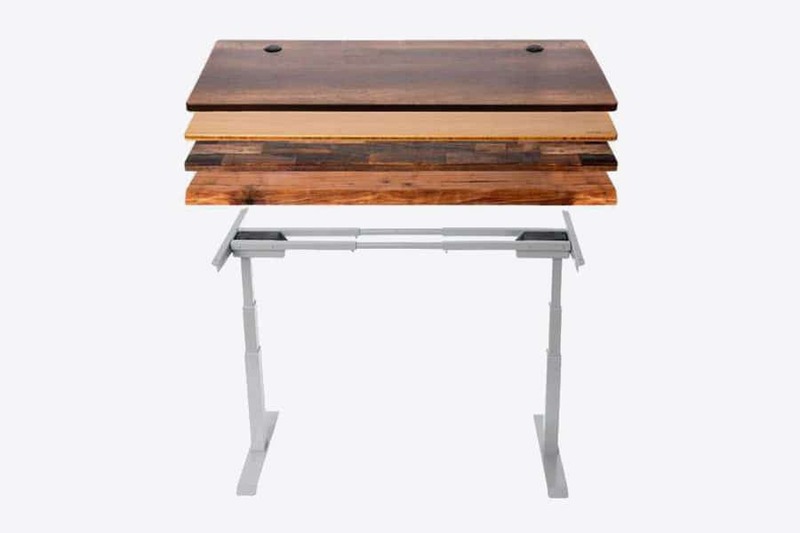 An adjustable standing desk is a helpful tool that could ease you of your stressful work. At present, there are a lot of similar products which offer good features, as you can see in our large compilation of full standing desks. After careful deliberation and research, we think that the StandDesk Pro Adjustable Height Standing Desk is an outstanding choice among the best standing desks, especially when it comes to finding a good balance between price and quality. Designed with your needs in mind, this standing desk is a product you deserve. It consists of features which would make your working life more comfortable, and when compared to other standing desks it really excels in certain areas such as adjustable range, weight capacity, and a fantastic lifetime warranty on the frame. 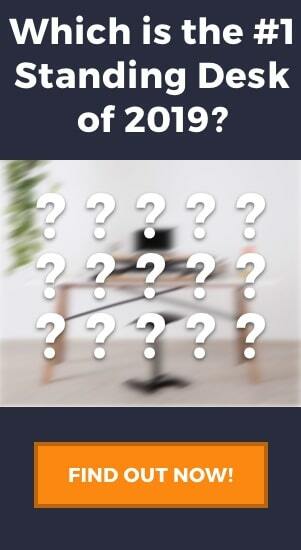 TAKE A LOOK: want to know our top standing desk picks of 2019? Check it out here. But before we get any further, let us first take a look at the basic product specifications. The many different desktops available. You can adjust the height of your standing workstation from 24.5 inches to 50.25 inches. When you compare it with another similar product such as the Varidesk ProDesk 60 with a height range of 30 inches and 47.75 inches, you will notice that the StandDesk Pro standing desk has a better adjustable range. An issue some desks have is that they are great for standing, but on the lower end they are just too tall, but with a minimum of 24.5 inches the StandDesk Pro is perfect even for people of below average height. In addition to this, you could also customize the width of this product with a range from 45 inches to 72 inches. The benefit of having an adjustable width frame is being able to find a smaller or larger desk to suit your office space, or even just but the frame to fit your own desktop (if you already have a desktop you like this can save you some extra money). 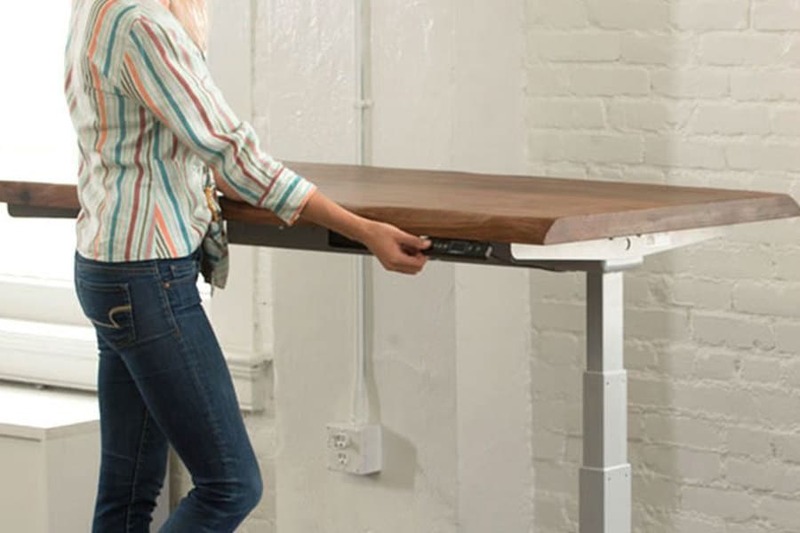 The StandDesk Pro is a motorized standing desk. A lot of people would show concern over it being a potential source of noise which could distract them from their work. However, this desk declares otherwise with a working noise production of only 44 dB. This standing desk has a fast, powerful, and quiet motor. It is worth noting that the motor of this standing desk works twenty percent better than its other competitors. It has a lifting speed of 1.3 inches per second which, when compared to a similar product such as the Autonomous SmartDesk 3 with a rate of 2.3 inches per second, is a better choice. You can control the powerful motor with either the standard up/down switch, or with 4 programmable height settings (paid add-on). We must say that it is super impressive that the motor can be so quiet, fast, and also powerful. StandDesk Pro has the highest weight capacity for a two-legged desk on the market, at a staggering 400 lbs. Most electric standing desks have weight capacities ranging anywhere from 150 lbs to 350 lbs, and many users are impressed with the lifting capacity of the Fully Jarvis at 355 lbs. So when we say that a 400 lbs capacity is big, we really mean it! StandDesk offers a lifetime warranty for the steel frame, a ten-year warranty on the structure, and 5 years is available on the controller, motor, electronics, keypad, and mechanisms. In terms of its return policy, you may return new and unopened items within a 30-day period since the delivery to get a full refund. 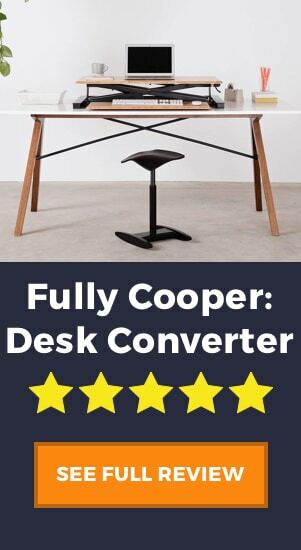 Among all standing desks, this is one of only two that offer a lifetime warranty on the frame. The other brand that does great in this department is iMovR who offers this same warranty on all their products. Within the continental United States, the product can be shipped using UPS ground within one to three business days. StandDesk also ships the desk in any place across the globe. Despite its bankable features, this stand up desk also has its own drawbacks. Since no singular stand desk could capture all of the features that you may need, you may consider these in your decision-making. Not having a stabilizing crossbar is certainly not a deal-breaker, especially considering some of our other favorite desks such as the Fully Jarvis also don’t have one. In fact, this desk does have one if you want, but it is a paid add-on (more on this later too). The crossbar is seen by some as a hindrance, making it harder to place your legs comfortably below the desk. Others, on the other hand, find that they provide added stability, often crucial when desks are fully extended. We have not read any complaints of the stability of this desk, so we don’t think its something to really be concerned about, although if you really wanted a desk with a crossbar then we recommend you take a look at the Varidesk ProDesk 60 Electric. 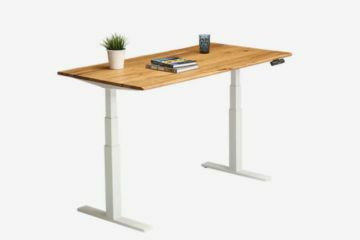 Alternatively, StandDesk does offer a separate add-on crossbar that you can add to the desk yourself, just for an extra $49.95. 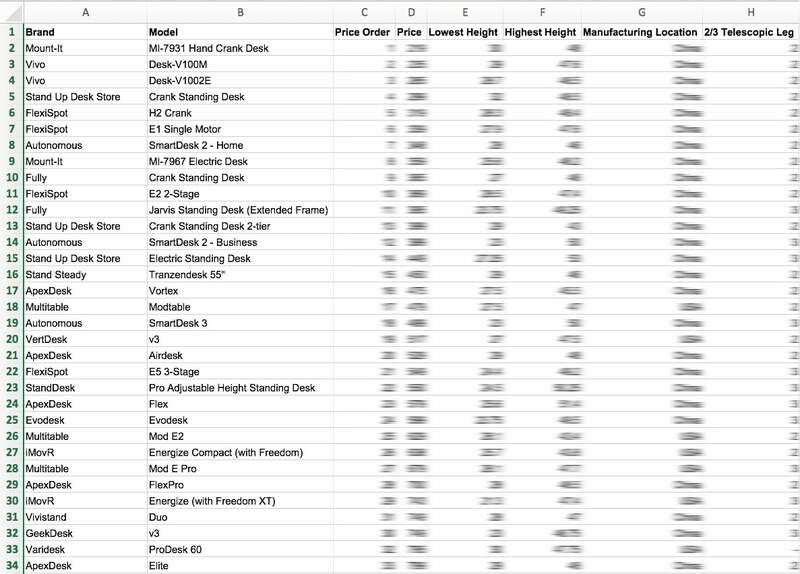 One thing I’m not a fan of is the pricing and add-on nature of buying a StandDesk Pro. It is not uncommon when buying a standing desk, but it can be a little frustrating. Essentially, the original price doesn’t include many add-ons such as the crossbar (mentioned above), wheels, cable management, or programmable memory controls (the basic up/down control is included) etc. Although only smaller values of $30 – $50, these can add up and at first when you thought your desk would cost $500 it now suddenly costs twice that much. Again, not really a terrible feature of the desk, more just to be wary of the true cost of the desk and add-ons you buy. The use of standing desks is already becoming a trend in office spaces and even those who are working at home. Looking for an adjustable standing desk which could suit your preference could be a daunting task. However, looking into its specifics could lead you to a great product that could last you a long time. If you’re still not sure I really recommend you take a look at the Standing Desk Buying Guide and also the Standing Desk Comparison Chart before jumping into a purchase. Overall, the StandDesk Pro certainly deserves the praise it gets, and if what you are looking for is a desk with huge weight capacity, good adjustable range, and stylish design options, then the StandDesk Pro is a solid choice.